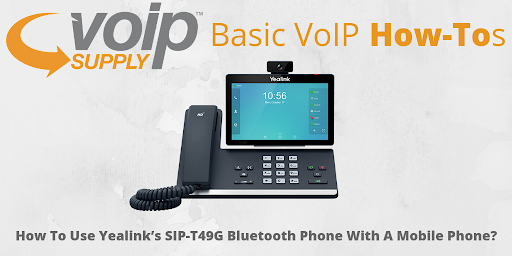 Many of Yealink’s business IP phones have built-in Bluetooth support that allows you to connect your mobile phone to the Yealink phone unit wirelessly. This Bluetooth connection process works for the T49G, SIP-T58V, SIP-T58A, SIP-T56A, and SIP-T49G. The best part is that the SIP-T49G IP phone can actually synchronize with your mobile phone contacts and call the contacts on behalf of your mobile phone. This can save busy workers like you lots of hassle! Did you switch your call successfully from the SIP-T49G to your mobile phone? How did you take advantage of this feature? Share with us!